This program, commencing Monday 11th February at 6.30am, is an opportunity for local farmers and ALL community members to gather with family and friends for lots fun, fitness and food to Spring into Summer! Following an initial FREE fitness group class & breaky, there will be 2 free group fitness classes run each week for anyone in the area who would like to participate for the next 8 weeks. · 2x free group fitness classes each week for the next 8 weeks; every Monday at 6.30am and Wednesday at 6:30am. For more information contact Ginny Stevens on 0439 343 925. The course covers helping people in mental health crisis situations and/or in the early stages of mental health problems. Participants will learn the signs and symptoms of common mental health problems, where and how to get help and what sort of help has been shown by research to be effective. Who Should Attend? Anyone who wants to understand the impact of mental illness on individuals and their family and want to use learnt skills to assist others. The NSW Health Rural Adversity Mental Health Program, in collaboration with the Centre for Rural and Remote Mental Health are delighted to offer this two-day Mental Health First Aid workshop. Think Tough Mudder, but with a rural flavour! Can you push a tractor tyre up a hill? Can you roll a round bale? Climb a hay bale stack? Well they are just a few of the 10 potential obstacles involved. The aim of this event is to raise the importance of physical & mental health, plus your team/community! We are aiming to inspire more men to get off the farm, or out of the house, to give it a go! We are also encouraging families to attend by having a kids course, plus a DJ, key note speakers and of course a delicious brunch! Gates open at 8am, then Games briefing is at 8:30am, warm up is at 8:45am, Games begin at 9am! Each Team to consist of three (3) participants - each team must have 1 female and male participant! This is not just a competition for Active Farmer participants, it is a competition open to any group within our rural communities around Australia, that want to be involved. Once registered, further information will be provided to all participants as time progresses. Any questions regarding the event please contact organiser and Active Farmers CEO, Ginny Stevens on 0439 343 925 or ginny@activefarmers.com.au. CORPORATE PARTNERSHIP PACKAGES ARE AVAILABLE and we welcome any support from the greater community and corporate world. Active Farmers and Health Coach, Penny Todman, are pleased to offer this Free event to the Eugowra & Gooloogong Community at East Your Greens. Come along for a morning of education and inspiration to help cope with stress using mindfulness and essential oils. Suitable for beginners and all ages. Everyone and anyone is welcome. RSVP is essential to anticipate numbers. Active Farmers is launching a ‘Spring into Spring’ community support program designed to provide some light relief for those in drought declared areas. This program is an opportunity for local farmers and ALL community members to gather with family and friends for lots fun, fitness and food to Spring into Spring! . Following an initial launch event held at the Footy Oval, 2*free group fitness classes will be run each week for anyone in the area who would like to participate for the next 4 weeks. Various health & wellbeing workshops will also be facilitated as part of the program such as nutrition and mindfulness. · 2x free group fitness classes each week for November; every Monday and Thursday at 5:30pm. Following an initial launch event held at the Gooloogong Park, 1*free group fitness class will be run each week for anyone in the area who would like to participate for the next 4 weeks. Various health & wellbeing workshops will also be facilitated as part of the program such as nutrition and mindfulness. Active Farmers is launching a ‘Spring into Spring’ community support program designed to provide some light relief for those in drought declared areas, funded by local charity, Riverina Bluebell with local trainer, Julie Mills. Following an initial launch event held at the Ariah Park Footy Oval, there will be 2*free group fitness classes will be run each week for anyone in the area who would like to participate for the next 4 weeks. Various health & wellbeing workshops will also be facilitated as part of the program such as nutrition and mindfulness. · 2x free group fitness classes each week for the next 4 weeks; every Tuesday at 6pm and Thursday at 6am. Following an initial launch event held at the Grenfell Aquatic Centre, 2*free group fitness classes will be run each week for anyone in the area who would like to participate for the next 4 weeks. Various health & wellbeing workshops will also be facilitated as part of the program such as nutrition and mindfulness. Following an initial launch event, 2*free group fitness classes will be run each week for anyone in the area who would like to participate for the month of November. Various health & wellbeing workshops will also be facilitated as part of the program such as nutrition and mindfulness. For more information contact Allana Hayes on 0419 332 314 OR complete the form below. Following an initial launch event held at the Park over the road from the Central Hotel, 2*free group fitness classes will be run each week for anyone in the area who would like to participate for the next 4 weeks. Various health & wellbeing workshops will also be facilitated as part of the program such as nutrition and mindfulness. · 2x free group fitness classes each week for November; every Monday at 6pm and Thursday at 6pm. Active Farmers is launching a ‘Spring into Spring’ community support program designed to provide some light relief for those in drought declared areas, funded by local charity, Riverina Bluebell with local trainer, Bella Landale. Following an initial launch event involving a free group fitness class and a breakfast, two free group fitness classes will be run each week for the following month for anyone in the area who would like to participate. Various health & wellbeing workshops will also be facilitated as part of the program such as nutrition and mindfulness. “At Active Farmers, our vision is to build stronger and more resilient farming communities. We do this by bringing communities together through regular group fitness classes suitable for all levels of fitness and ability. This not only helps physical health, but also encourages regular social interaction, naturally improving mental health and community resilience. We think this is vital to ensure we can cope with tough times the best we can, such as the widespread drought”, she said. The program will be run across numerous towns throughout NSW in addition to Pretty Pine during the spring season, and hopes to deliver the program to many more communities, pending additional funding. Run by local Active Farmers’ personal trainer Isabella Landale - all farmers and community members welcome, including children. *PLEASE NOTE: When the program concludes the classes will run indefinitely for the Pretty Pine community. Active Farmers has launched their first ‘Spring into Spring’ community support program designed to provide some light relief for those in drought declared areas. For the month of October 2*free group fitness classes will be run each week for anyone in the area who would like to participate. Various health & wellbeing workshops will also be facilitated as part of the program such as nutrition and mindfulness, PLUS a sponsored dinner at the Pub, 19th October at 7pm. · 2x free group fitness classes each week for October; every Monday at 6am and Thursday at 8am (during school holidays), then Wednesday's at 4:30pm when school goes back. All held at Robertson Oval. For any questions and to RSVP please complete this form. To celebrate the introduction by Margie Heard of Active Farmers to Cressy we are running an optional FREE Active Farmers class, followed a delicious breakfast and information session!!! The event, held at the Cressy District High School Oval will be suitable for all levels of fitness and ability and we encourage families, friends, farmers and residents of the Cressy and surrounding communities to all come down for what will be a great morning! To help us continue to expand the Active Farmers network, raise awareness and support the health, and in particular mental health of farmers and rural communities we will be asking for a gold coin donation. Don't be shy - the more the merrier - spread the word Cressy because its going to be lots of fun!!! To RSVP or for more information phone Margie on 0407 155 372 or complete the form below. Active Farmers is launching their first ‘Spring into Spring’ community support program designed to provide some light relief for those in drought declared areas, brought to Tarcutta by Riverina Bluebell. This program is an opportunity for local farmers and community members to gather with family and friends for lots fun, fitness and food to Spring into Spring! We are happy that we can contribute in a small way by offering an assortment of free community activities during this challenging time of drought. Following an initial launch event involving a free group fitness class and a breakfast, one free group fitness class will be run each week for the following month for anyone in the area who would like to participate. Various health & wellbeing workshops will also be facilitated as part of the program such as nutrition and mindfulness. At Active Farmers, our vision is to build stronger and more resilient farming communities. We do this by bringing communities together through regular group fitness classes suitable for all levels of fitness and ability. This not only helps physical health, but also encourages regular social interaction, naturally improving mental health and community resilience. We think this is vital to ensure we can cope with tough times the best we can, such as the widespread drought. For more information contact Kim on 0414 670 286 or complete the form below. For more information contact Kim on 0427 472 152 or complete the form below. Following an initial launch event involving a free group fitness class and a breakfast, once free group fitness class will be run each week for the following month for anyone in the area who would like to participate. Various health & wellbeing workshops will also be facilitated as part of the program such as nutrition and mindfulness. Active Farmers and Murrumbidgee Landcare are excited about their upcoming roadshow in the Riverina: “Calmer Farmer, showcasing the power of Nutrition and Mindfulness”. If you would like to learn more about nutrition and mindfulness, this workshop is for you - it will be interactive, educational and fun! The roadshow will travel to four small communities within the Riverina (program below) and encompass a variety of stress relief techniques led by Mindfulness Specialist, Narelle Hunter, and healthy eating education led by food coach, Judy Davie. As a food coach and author, Judy Davie has been sharing her passion for healthy eating through her book, “The Greengrocers Diet”, weekly newsletter, articles, recipes and short videos for almost two decades. “My vision is to help people improve eating habits” Judy said, “and my mission is to inform, inspire and involve people to learn that good healthy food can taste great” and not only that “that life is better when they eat well!” she added. Judy will focus on an interactive and educational simulation about healthy eating. Active Farmers Trainer Haylee Redfern and participant/owner of Eat Your Greens, Jess Bray have organised a fundraising event Sunday 29th July!. Relaxation by a nice & cosy wood fire.....yes please! Join Haylee & Jess at Eat Your Greens on Sunday 29th July at 10am for a yoga & meditation morning with Penny Todman. All money raised on the morning will go directly to Forbes Can Assist Branch & Active Farmers to run more Mental Health First Aid Courses in our local area. 24 seat Cenwest Tours bus from Forbes will be available for $12pp return, however if seats not filled please be available to drive over. All we ask on the morning is a minimum donation of $10pp. Everyone & anyone is welcome, the more the merrier! To celebrate the introduction by Allana Hayes of Active Farmers to Burrumbuttock we are running a FREE Active Farmer class, followed by a delicious breakfast. We will also be raising money (gold coin donation) for Active Farmers to help raise awareness and support mental health of farmers and rural communities. 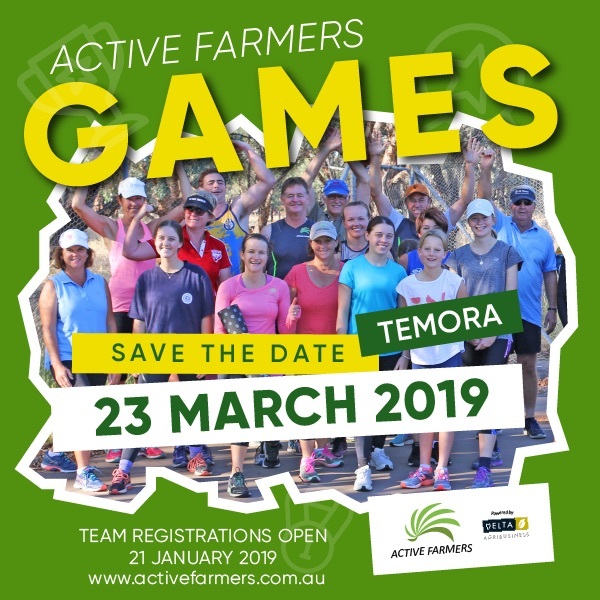 The event, held at the Burrumbuttock Sports Grounds and will be suitable for all levels of fitness and ability and we encourage families, friends, farmers to and Burrumbuttock residents to all come down for what will be a very fun morning! Dont be shy - the more the merrier - spread the word Burrumbuttock because its going to be lots of fun!! !